Dynamax Medicine Balls is rated 4.7 out of 5 by 20. Rated 5 out of 5 by phillip carter from Awesome Finally, a tough piece of equipment that is as good as it is advertised. Arrived promptly, packaged well, great customer service, I received tracking information for the package as well. Shipped sooner than estimated. As far as the medicine ball, tough exterior, sturdy, I expect to receive years of performance from this piece of equipment. Great product well worth the money, other medicine balls will state they are not durable enough for slamming the ball. Not this one, it is tough. Rated 4 out of 5 by David Zastrow from lots of fun I received the 30lbs ball for Christmas. the material is nice and durable, only downside is the weight inside of it gets off center causing a wobble when throwing and catching it gets really awkward. you eventually adapt and it might even improve your wall ball skills overall. I wanted the 30 to make the 20 seem like a baby weight, and it does. Ive only ever experienced the off-center weight issue in the 30 lbs ball, not any of the other weights at my box. Rated 5 out of 5 by Jay from Great Wall Ball I have the 20 lb ball. It's amazing. 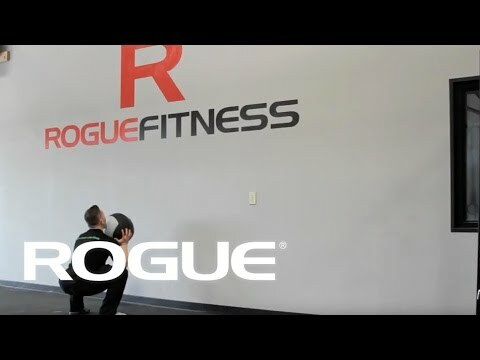 I love wall balls because I'm more oriented toward aerobic capacity work and this ball is perfect for it. Great WOD: pair 1000m row, which should take you 3:30-3:45, with 50 Wall Balls, which for a 5:00 Karen pace should take you 1:40. Row 1000m, 50 Wall Balls in 5:30 and you are a well conditioned athlete.